It’s not about where you start, it’s about where you finish. In the case of Shaquille O’Neal, four-time NBA champion and three-time NBA Finals MVP, his beginnings were humble, and so is his present-day attitude. In our conversation, he shares about how to take your circumstances, no matter how challenging, and create a better future for others. He also opens up about the best advice he’s ever received and what he’s learned in his multi-faceted career. Darrah Brustein: Your career has spanned countless industries: sports, media, music, business, film, and philanthropy. In a culture where we are often told to ‘stay in your lane’ and that you can ‘be a jack-of-all-trades but a master of none”, what’s your feedback to that? Shaquille O’Neal: Just because you’re an expert at one thing doesn’t mean you can’t try your hand at something new. 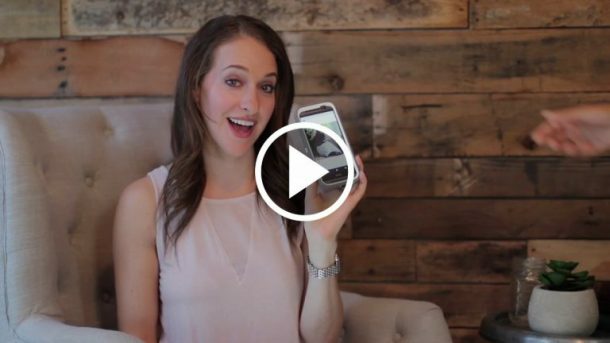 It’s all about recognizing your strong suit and applying it to multiple things. I consider myself to be a people person. I like telling jokes and making people laugh. Brustein: Of everything you’ve achieved, of what you are most proud? O’Neal: I’m most proud of my bachelor’s degree, MBA and Ph. D. I’m very fortunate to have a mom who understands the value of higher education. Even when I entered the NBA, she would tell me that an education would be the most beneficial tool I could have. Brustein: What advice would you give to your 18-year-old self? O’Neal: To spend your money responsibly and save a portion of every paycheck. Brustein: What is Shaq-a-Claus and why did you start it? O’Neal: Shaq-a-Claus started back in the winter of 1992 when I got a call from my mom. She was very upset and went on to tell me that she was just getting back from the Boys and Girls Club and not a single kid was getting anything for Christmas. So, I rented two Uhaul trucks, filled them with toys, and delivered them to a thousand kids. The looks on their faces when they got their gifts brought me so much joy. It’s been twenty-six years since I started Shaq-a-Claus and I continue to do it to this day. Brustein: Can you tell us a bit more about your childhood and what you learned from those experiences? O’Neal: When I was growing up, we didn’t have much, but my parents made it a point to try and always give back. One day my dad got some extra cash and took me out to a special lunch. By special I mean fast-food, but going out for lunch was something that we rarely got to do. We each ordered six double doubles. We didn’t eat all twelve and on the way home, we passed a homeless man sitting on the side of the road. My dad stopped, got out of the car and gave him our food and the rest of his cash. I asked him why he did that and answered, ‘He needs it more than we do.” I can’t tell you how much that influenced me. Brustein: No matter someone’s means, how can they use their resources and experiences to help make a better future for others? O’Neal: You don’t need money in order to give back to your community. Organizations are always looking for volunteers. Even if you can find time to help only once or twice a month, that can and will make a difference. 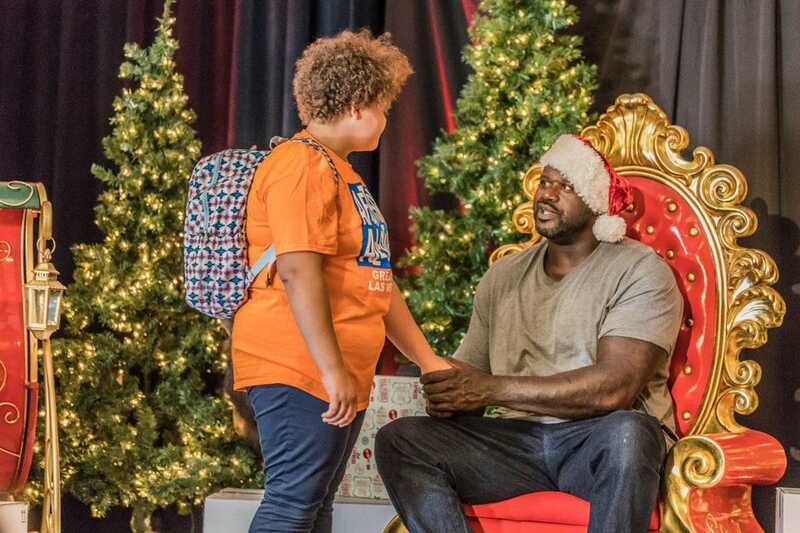 Brustein: To make Shaq-a-Claus a reality, you didn’t do it alone, you partnered with companies like Zappos. What can others learn from your experience about the power of collaboration and partnership? O’Neal: Something I’ve learned is that you can’t make it through life on your own. You have to use your resources and ask for help. With a good support system, you can achieve great things. Last year was the first year I had the honor to partner up with Zappos and I’m really looking forward to seeing what we can do next year. Brustein: What’s the #1 lesson you took from your time on the court into your career in business? O’Neal: Surrounding yourself with the best team possible. Every time I start a new business venture, I will go out and try to find the best people who work in that field. Brustein: What’s the best advice you’ve ever received? O’Neal: Be kind to everyone. No matter what your circumstances are, you need to be humble. Growing up, I was always told to treat everyone with kindness and respect. It’s the same advice I give my kids.